Clips on and off bike handlebar easily. Rugged copolymer clip holds tight. 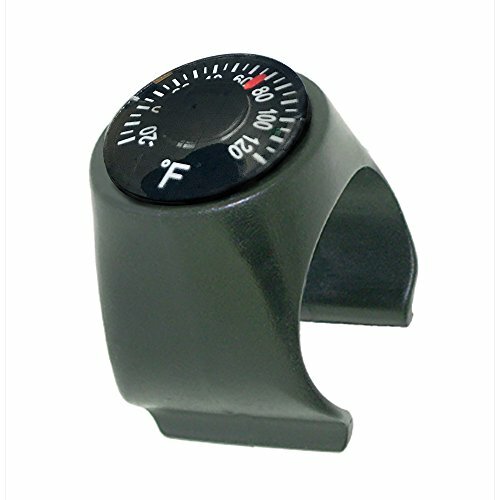 Thermometer is cushion-mounted and impact resistant. Inner (removable) sleeve allows optional fit to smaller handlebar. Designed and final assembled in USA. For bike, cycle, ATV.CLIP-ON, CLIP-OFF DESIGN – Quickly and easily clips on and clips off handlebars. 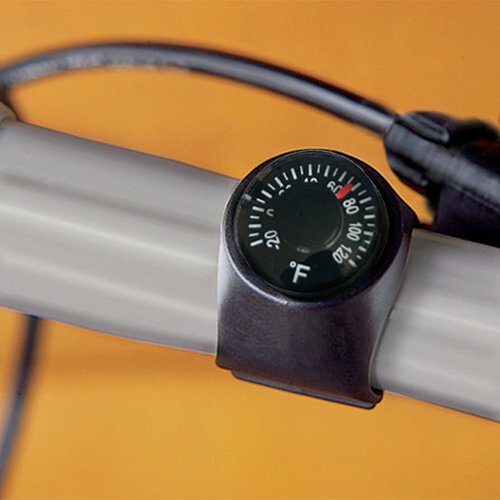 CUSHION MOUNTED – Thermometer is cushion mounted within the ABS housing.